Don't miss this rare opportunity to own a move-in ready home for under 300K! 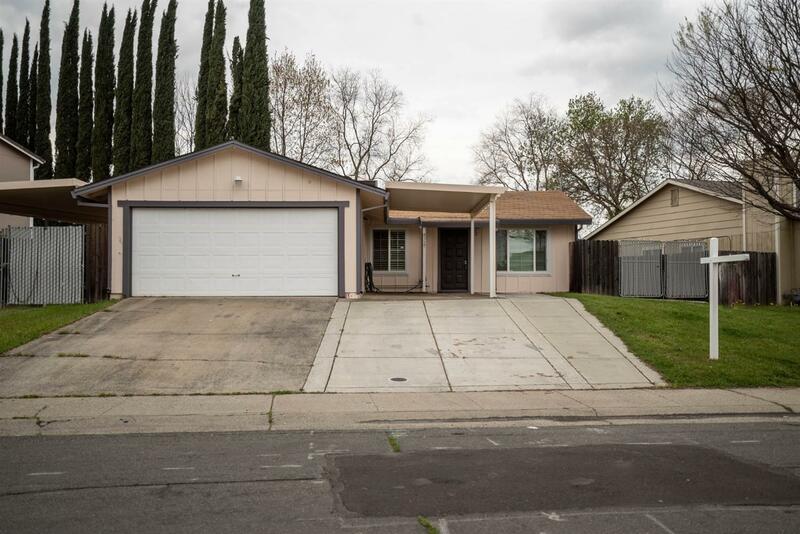 With newly installed carpet and fresh interior paint, this 3 bedroom home features both a 2-car garage and additional covered parking both in the front and on the side of the home, accessible through a gate. Other features include granite counter-tops, crisp kitchen cabinets, updated light fixtures, laminate flooring, central heat and air, recently painted exterior trim, covered back patio and more! This home is sure to please and won't last long.